The Deep South is simply magical. While you’re staying at Fairview Inn, we offer a variety many amenities such as a delightful restaurant, a swanky lounge, an indulgent spa, and access to the many quaint towns surrounding Jackson, including Natchez. When you travel to this community in the spring or fall, enjoy the Natchez Pilgrimage. This 19th-century themed celebration gives a glimpse at the culture of the Antebellum South in Mississippi. Whether you’ve attended this event before or it’ll be your first time, be sure to add this to your getaway! Natchez Pilgrimage isn’t the only fun-filled festivities to enjoy on your trip to the Magnolia State. Request a copy of our complimentary Vacation Guide for more information on the top recommendations for annual events to attend, outdoor adventures to experience, and historical sites to explore. Unlock your best guide to Jackson, Natchez, and other small towns of Mississippi! Maintaining a delicate balance of culture, history, nature, and adventure, you’ll find this combination during your guided tour at the Natchez Pilgrimage. Use our local insights to better understand what you’ll see and what’s in store for your visit! One of the most beloved events in Natchez, MS, you’ll have the opportunity to visit the oldest city on the banks of the Mississippi River. This being true, history is the primary attraction in this charming community. 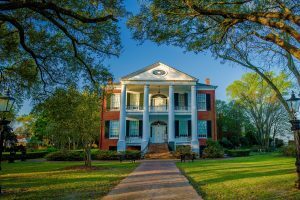 Follow the guide on your Natchez Pilgrimage Tours and uncover hidden secrets of the many historical sites. Moreover, each of the local experts is dressed in traditional attire of the 19th century such as hoop skirts and leading through the historic homes. This bi-annual spectacular event takes place in the spring during March and April as well as fall during September and October. Get your tickets for one or both of these events today! In addition to visiting these places, lend an ear to live concerts, theatrical performances, and other captivating activities to enjoy. Not just the home of the Natchez Pilgrimage, this quaint town provides you and yours with an unforgettable experience. From delightful restaurants, to incredible shops, to historical sites, to annual festivals, here’s a sample of what to see and do in Natchez and the downtown area! Natchez Pilgrimage is a marvelous annual event to attend. 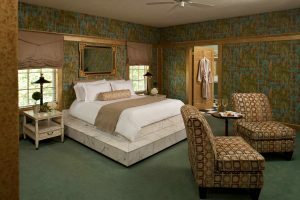 Just a short drive from Fairview Inn via the Trace Parkway, return to the comfort of our luxurious boutique hotel. 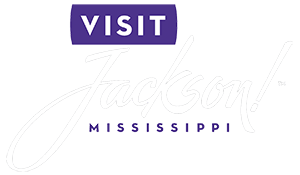 We offer a selection of 18 beautifully, individually appointed accommodations, all designed to preserve one piece of Jackson’s history. Browse our suites, select the ideal dates for your getaway, and reserve your trip today. Once you book, review our specials to further enhance your experience in Deep South. We can’t wait to host you and your special someone at Fairview Inn!